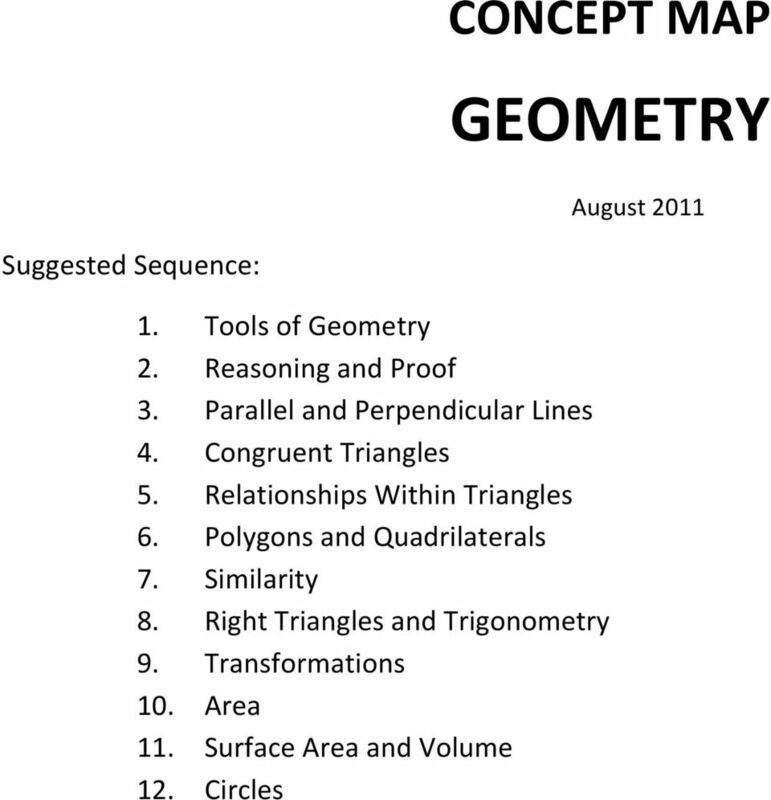 Download "GEOMETRY CONCEPT MAP. 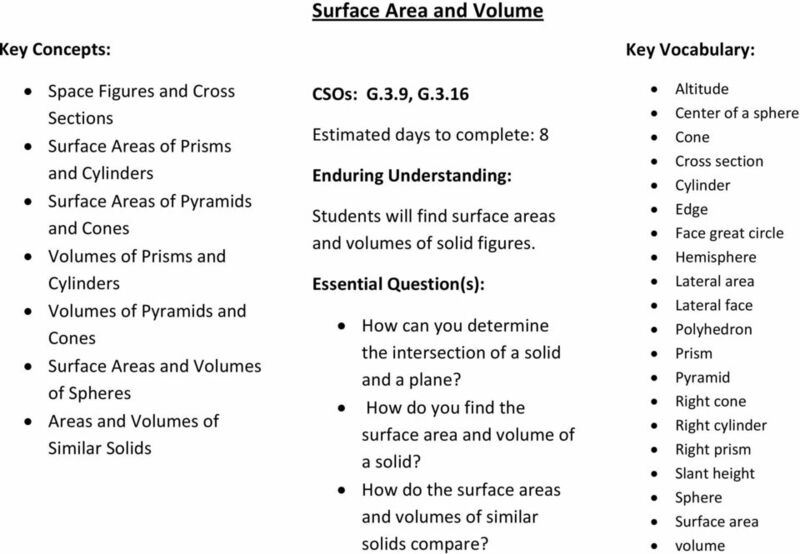 Suggested Sequence:"
Geometry Chapter 1 Vocabulary. coordinate - The real number that corresponds to a point on a line. Chapter 1 Vocabulary coordinate - The real number that corresponds to a point on a line. point - Has no dimension. It is usually represented by a small dot. bisect - To divide into two congruent parts. 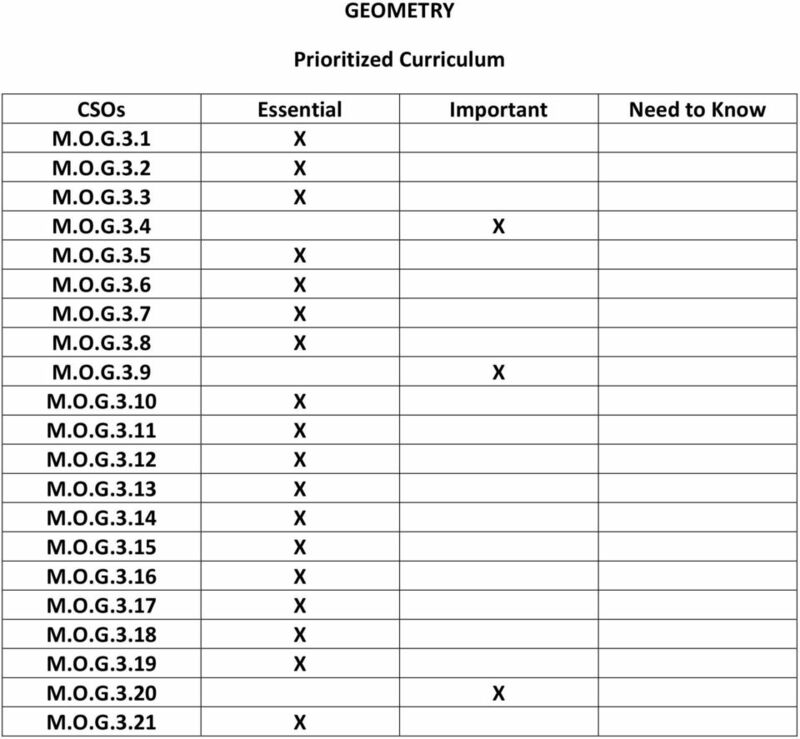 Curriculum Map by Block Geometry Mapping for Math Block Testing 2007-2008. August 20 to August 24 Review concepts from previous grades. of one triangle are congruent to the corresponding parts of the other triangle, the two triangles are congruent. 55 questions (multiple choice, check all that apply, and fill in the blank) The exam is worth 220 points. 1. A person has 78 feet of fencing to make a rectangular garden. What dimensions will use all the fencing with the greatest area? 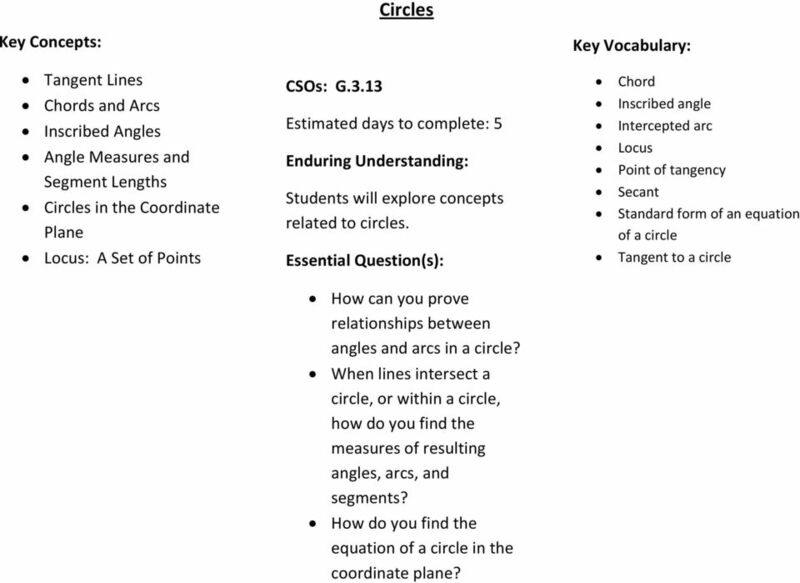 Geometry Enduring Understandings Students will understand 1. that all circles are similar. 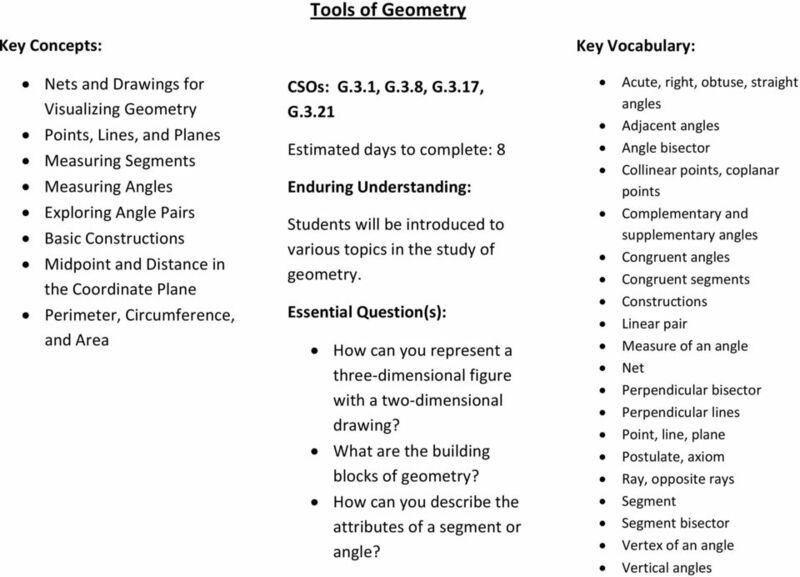 GEOMETRY 101* EVERYTHING YOU NEED TO KNOW ABOUT GEOMETRY TO PASS THE GHSGT! 56 questions (multiple choice, check all that apply, and fill in the blank) The exam is worth 224 points. Angles that are between parallel lines, but on opposite sides of a transversal. abscissa The horizontal or x-coordinate of a two-dimensional coordinate system. #2. Isosceles Triangle Theorem says that If a triangle is isosceles, then its BASE ANGLES are congruent. After your registration is complete and your proctor has been approved, you may take the Credit by Examination for GEOM 1B. 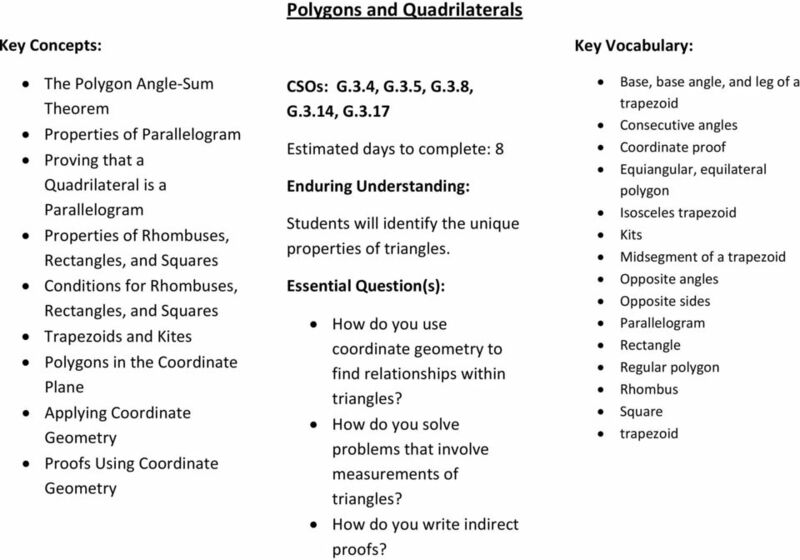 GEOM 1B Geometry I, Second Semester #PR-109, BK-1030 (v.3.0) To the Student: After your registration is complete and your proctor has been approved, you may take the Credit by Examination for GEOM 1B. DEFINITIONS. Perpendicular Two lines are called perpendicular if they form a right angle. 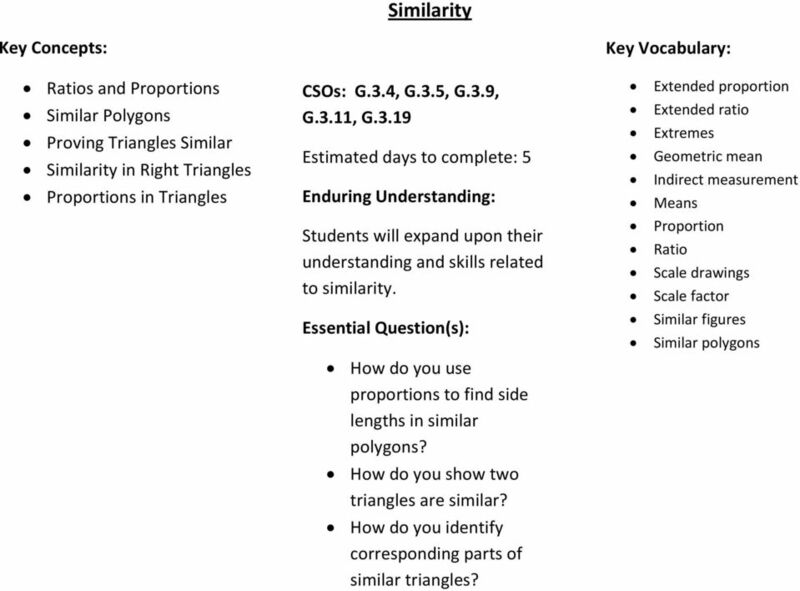 GEOMETRY FINL EXM REVIEW I. MTHING reflexive. a(b + c) = ab + ac transitive. If a = b & b = c, then a = c. symmetric. If lies between and, then + =. substitution. If a = b, then b = a. distributive E.
1. A student followed the given steps below to complete a construction. Which type of construction is best represented by the steps given above? 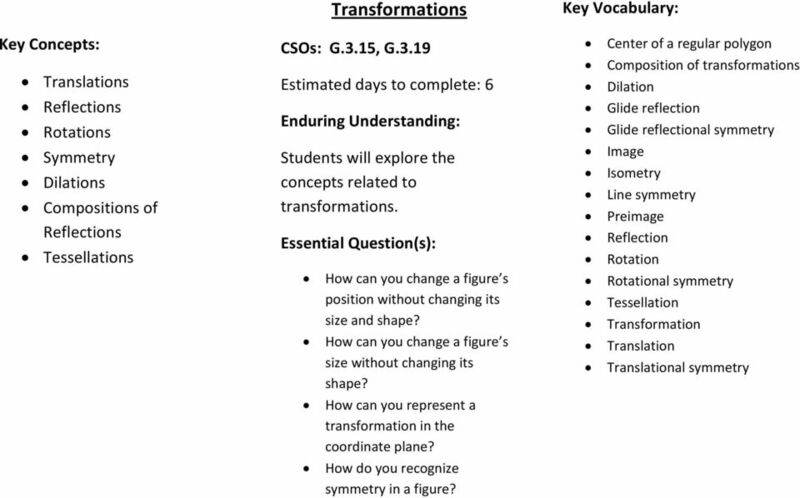 Geometry: Unit 1 Vocabulary TERM DEFINITION GEOMETRIC FIGURE. Cannot be defined by using other figures. 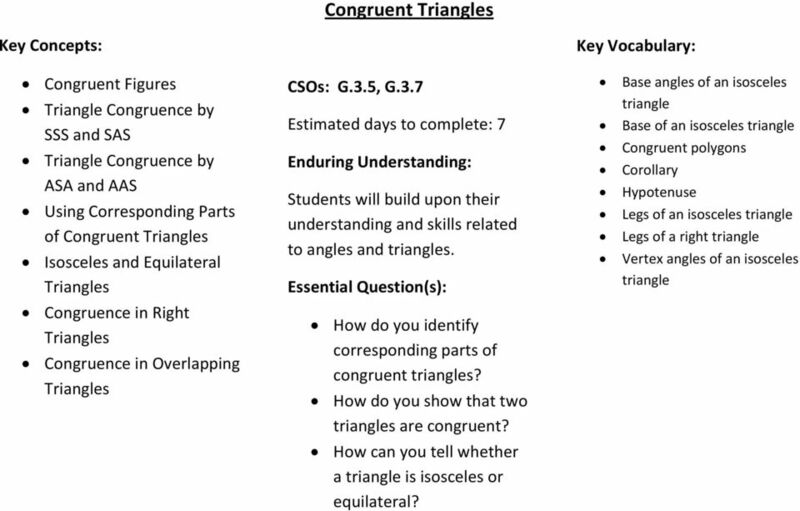 Geometry: Unit 1 Vocabulary 1.1 Undefined terms Cannot be defined by using other figures. Point A specific location. It has no dimension and is represented by a dot. Line Plane A connected straight path. LEVEL G, SKILL 1. Answers Be sure to show all work.. Leave answers in terms of ϖ where applicable. 3. Lengths and areas associated with the circle including such questions as: (i) What happens to the circumference if the radius length is doubled? 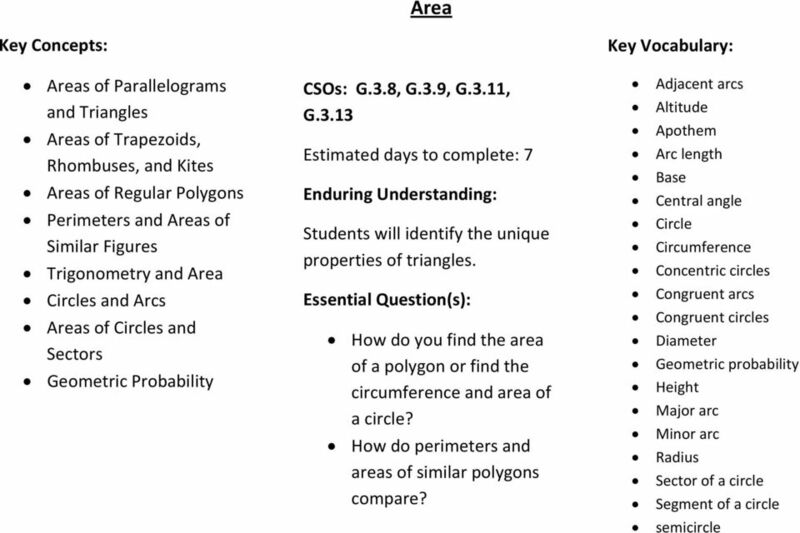 Geometry Final xam Review Worksheet (1) Find the area of an equilateral triangle if each side is 8. (2) Given the figure to the right, is tangent at, sides as marked, find the values of x, y, and z please. 10-4 Inscribed Angles. Find each measure. 1. Semester Exam Review. Multiple Choice Identify the choice that best completes the statement or answers the question. 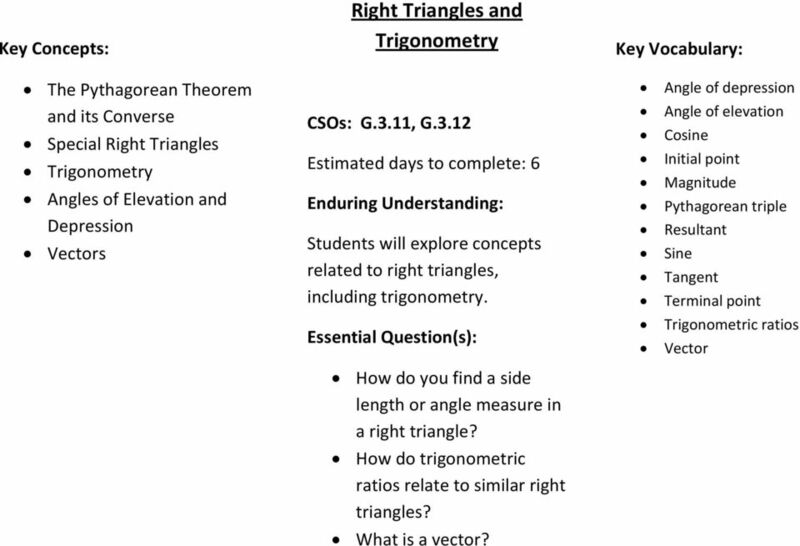 The University of the State of New York REGENTS HIGH SCHOOL EXAMINATION GEOMETRY. Thursday, August 16, 2012 8:30 to 11:30 a.m. 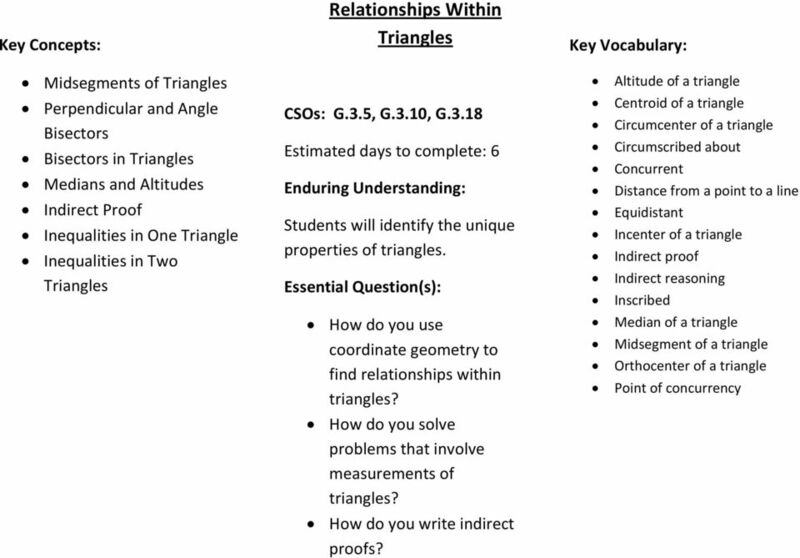 The University of the State of New York REGENTS HIGH SCHOOL EXAMINATION GEOMETRY. Tuesday, August 13, 2013 8:30 to 11:30 a.m., only. Final Review Problems Geometry Name SI GEOMETRY N TRINGLES 1. The measure of the angles of a triangle are x, 2x+6 and 3x-6. Find the measure of the angles. State the theorem(s) that support your equation. Name: Class: Date: Geometry - Chapter 2 Review Multiple Choice Identify the choice that best completes the statement or answers the question. 1. 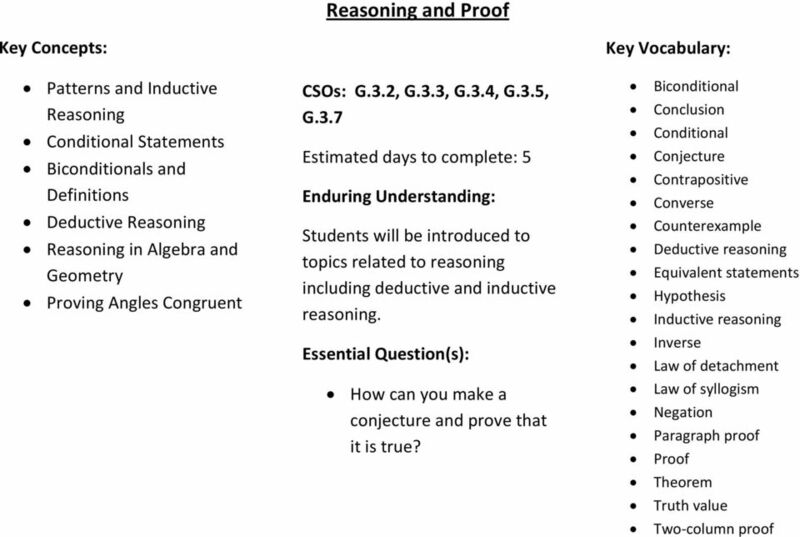 Determine if the conjecture is valid by the Law of Syllogism. 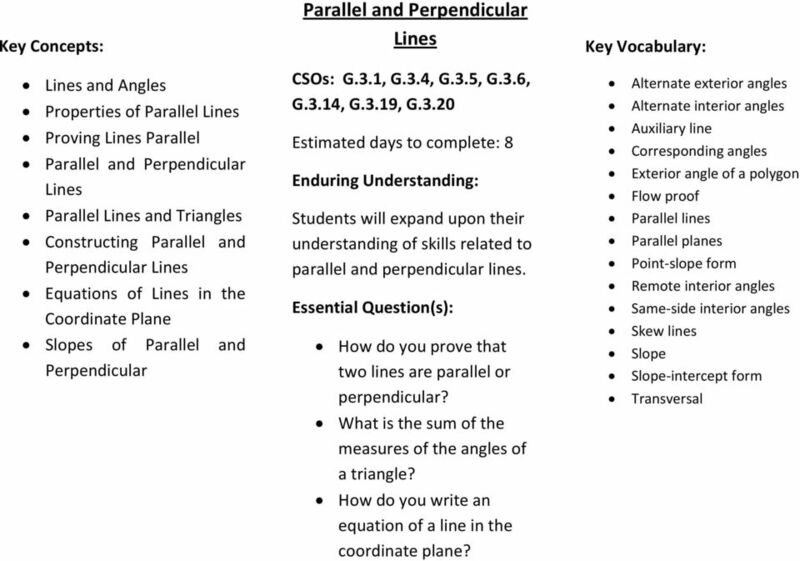 Math 366 Definitions and Theorems Chapter 11 In geometry, a line has no thickness, and it extends forever in two directions. It is determined by two points. Collinear points are points on the same line.